World Whisky Day is an annual celebration of “water of life”, taking place on the third Saturday in May. This renowned event exists since 2012. Blair Bowman founded World Whisky Day in 2012 while studying at the University of Aberdeen, Scotland. He decided to encourage many people around the world to try whisky produced in Scotland. Many people usually never drink Guinness, but they might give it a try on St. Patrick's Day. 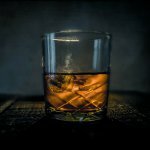 So why don't people give whisky try on World Whisky Day? All people around the world may participate in celebration of this food holiday. People are encouraged to drink whisky at the events officially registered on the official WWD website. Others may also participate via social media by using the hashtag #worldwhiskyday. Did you known that there is one more holiday dedicated to whisky and whiskey? It's International Whisk(e)y Day, that is celebrated every year on March 27. WWD often contradicts with this holiday due to the similarity of names. However, whiskey and whisky lovers celebrate both holidays. Thanks God, they are on different dates and in different months.